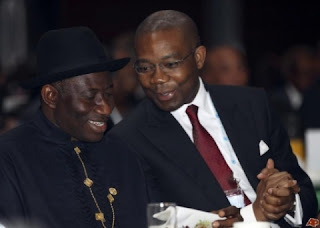 Chairman of the special committee appointed by President Goodluck Jonathan to verify and reconcile the records of payments on fuel subsidy, Aigboje Aig-Imoukhuede, owns a company that received millions of Naira in subsidy payments for products it allegedly failed to deliver. Detailed company searches by an Abuja-based non-governmental organisation (NGO), Youth Alliance Against Fuel Subsidy Removal, revealed that Mr. Aig-Imoukhuede, who is the Group Managing Director, Access Bank Plc, also owns Ice Energy Petroleum Trading Limited, which allegedly received $2,131,166.32 in hard currency (about N345.3 million) in 2011. It is not clear whether the company delivered the product for which it was paid but the House committee believe it did not. The defunct Farouk Lawan-led House of Representative Committee had, in its report, queried the company for receiving payment when no petroleum products were imported and supplied. Ice Energy was one of the 45 companies invited to appear before the probe committee, but which failed to either honour the invitation or submit documents concerning their involvement in the monumental fraud that attended the subsidy scheme. Findings by Youth Alliance at the Corporate Affairs Commission (CAC), and made available to PREMIUM TIMES, show that Mr. Aig-Imoukhuede heads the three-man board of Ice Energy, which has Iroche Chuks, as managing director, and Aikhionbare Sam, as member. Out of the 74 companies indicted in the report, only 48 were properly registered with the CAC. Click here for details of some of the companies that benefited from the subsidy regime and their directors. Look through the document and scrutinize the directors of the companies.